How Important are Blog Awards? After asking – and kind of begging – my readers to nominate Fashion Killer for the Cosmopolitan Blog Awards for 29 days straight, I wanted to understand why I cared so much and what blog awards really meant. To do this I really had to quiz myself, but also my fellow bloggers. For some, blog awards are like the Grammys for an artist; a time of recognition, appreciation and celebration for their craft and the hard work they’ve done in that year. A few days ago, Complex Magazine published an article on a new study that found fashion blogger work on average 100 hours a week. Whether that be writing posts, taking/collecting images, social media marketing, emailing and pitching to brands and all the other crazy things we do to create and publish great content. One fashion blogger often does the same amount of work your average company would do in 14 separate departments with hundreds of different employees if not thousands. So then I asked myself, is an award really enough of an appraisal and acknowledgement, if your average company has hundreds of people doing the same job one blogger does. But then again I guess that’s why some bloggers make thousands a week… but that’s another topic for another day. For others, blog awards are like high school. The popular win and those who don’t have a major following and a load of groupies are left out. When the Cosmopolitan Blog Awards returned last month, the response from many bloggers was understandable, ‘why enter when only big bloggers are acknowledged“. It’s easy to say blog awards are given to those with great and consistent content, but if a smaller amount of people are engaging and reading your blog, the likeliness that you will win an award over the popular girls whose following and engagement is off the scale is pretty slim. After outweighing both sides of the award drama, I had to reflect on my own blogging experiences. In 2014, I was nominated by my amazing readers and shortlisted by Company Magazine as Best Teen Style Blogger. At the time I was beyond excited, honoured and inspired. Beyonce-like speech prepared and cute outfit together, I was ready to accept the award I was “destined” for. Although sometimes, destiny isn’t enough; I ended up not taking the trophy home and losing to the beautiful Ellie, owner of Rose and Vintage. And funnily enough, my defeat became the greatest thing to happen to me for two main reasons. 1) I was able to understand the flaws in my craft. FK needed a lot more love, attention, sculpting and change. Not winning that award, enabled me to build and grow my brand in ways I don’t think would have been possible without defeat. 2) My need for success grew, it was as if I had been kicked up the behind and pushed to do greater things. From it, I crafted my skill and ended up working with so many more brands. For me, blog awards weren’t just about getting a shiny trophy at the end of a night full of glitz and glam, but a push to do better and greater things. I don’t feel like being awarded means that you’re the ‘best’, but it sure does mean that your work has been acknowledged and your doing something right! What caused you to enter a blog award/ask your readers to nominate/vote for you? I think it’s incredibly interesting how each blogger looked at it, Dami seeing it as a recognition for all the woman she has helped, Lavinya seeing it as a merit of your work and Bee seeing it as the opportunity to further your career. But what does it mean to win? Each and every blogger babe I spoke to felt almost the same. Winning would be an acknowledgement of their work/talent and give them that extra boost to continue what they are doing – as they must be doing something right! 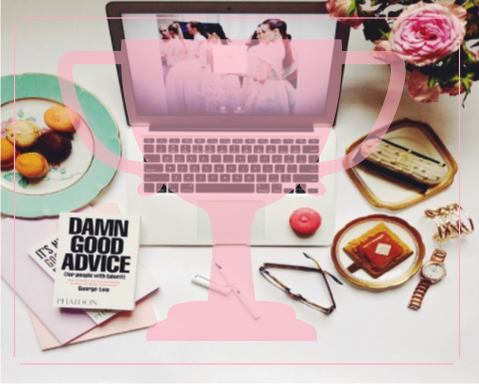 But what do you think; are blog awards really important? Can they really judge who is the “best” when there are so many talented bloggers out there, big and small? Previous Post 4 Runway Trends You Can Adopt Now!